Transform your bed into a plush sleep oasis with the StaminaFibre® Sythentic Featherbed! 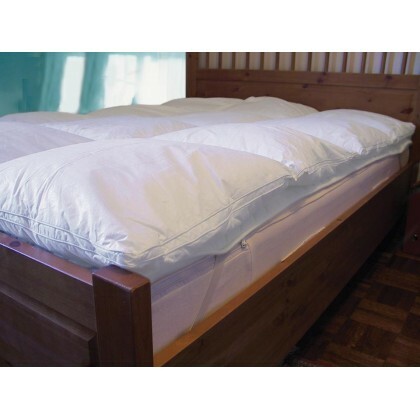 For generations, feather bed have been thought after for their sheer decadence and luxury. Thanks to the StaminaFibre® collection they are known also surprisingly therapeutic, functional and affordable. 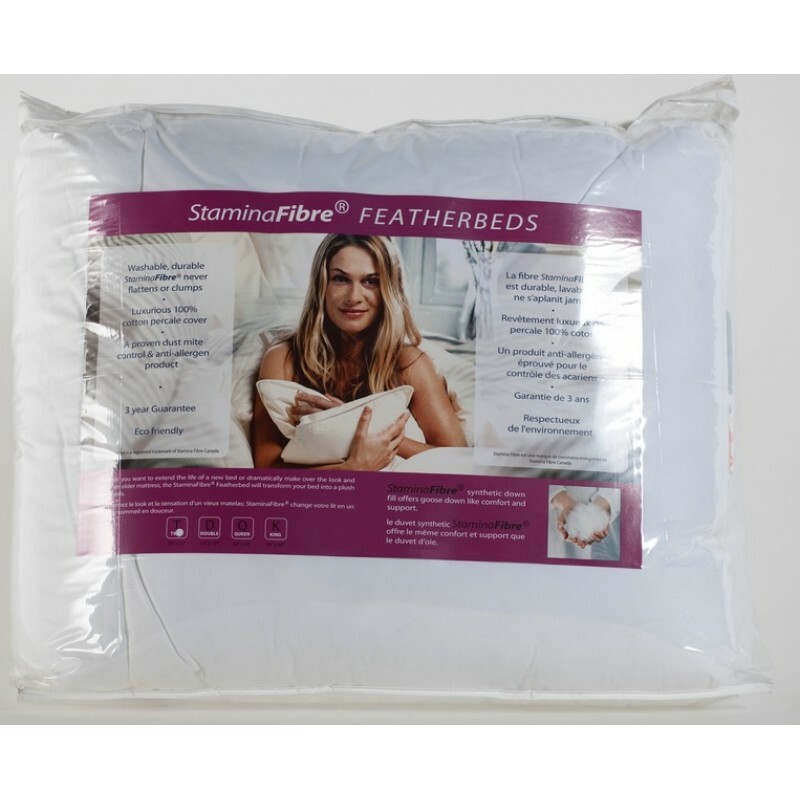 The StaminaFibre® Featherbed provides supreme comfort by gently cushioning pressure points at your shoulder and hips. Its' gusseted side panels promotes good body support and because it is filled with StaminaFibre®, it can be laundered multiple times to ensure a clean and hygenic allergy-free sleep environment. Whether you want to extend the life of a new bed or dramatically transform the look and feel of an older mattress, the StaminaFibre® Featherbed is a valuable addition your guests will find irresistibly comfortable.